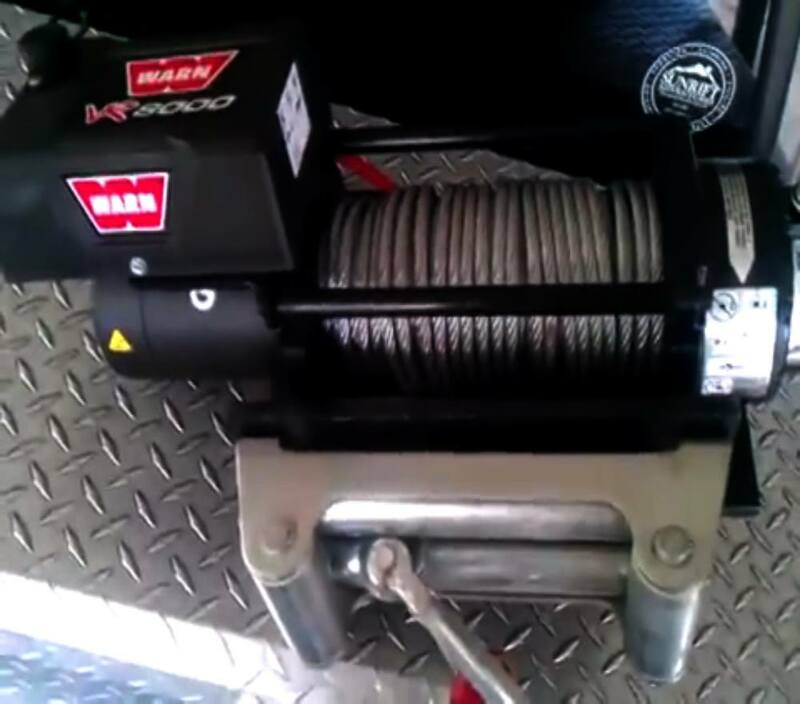 WARN has won worldwide recognition thanks to their winches for the SUVs, trucks and other vehicles. Their VR line will satisfy a wide range of requirements, for both amateurs and professional users. And in this article, we will review model VR8000 Winch. WARN winches to undergo various rigorous tests in different international competitions, where their reliability and quality of production is confirmed. This brand uses latest and most powerful technology to provide you with the best devices for affordable prices. With winches from Warn you are always prepared for the unexpected situation on the roads, sand, mud and other terrains and surfaces. And for more detailed information about VR8000 Winch read below. What cars WARN VR8000 will work with? 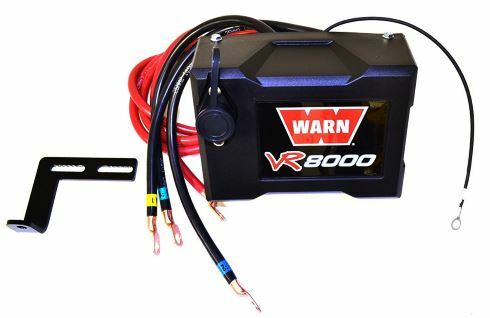 Among VR line produced by Warn, model VR8000 is the most affordable and will work for a wide range of trucks and SUVs. 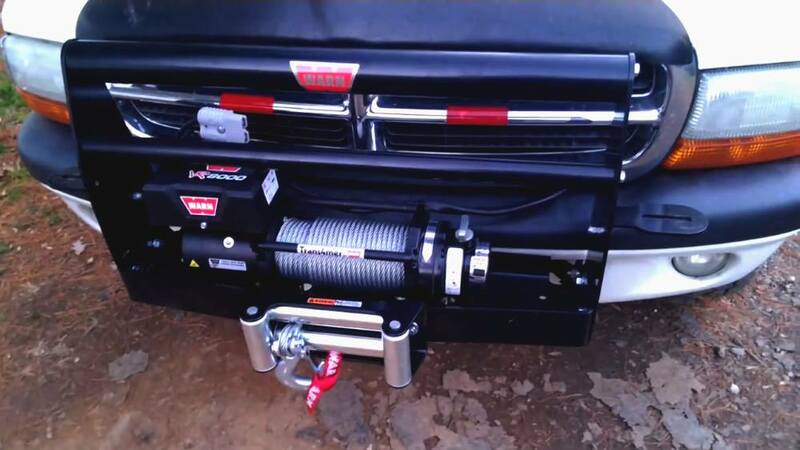 As we have mentioned, winches from Warn are famous for their durability, reliability and quality materials. All details are developed and made by professionals. 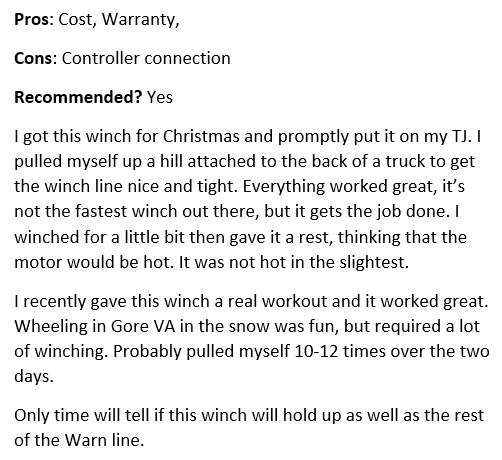 Many of the customers are satisfied with their purchase and recommend this device for people who decide which winch to buy. 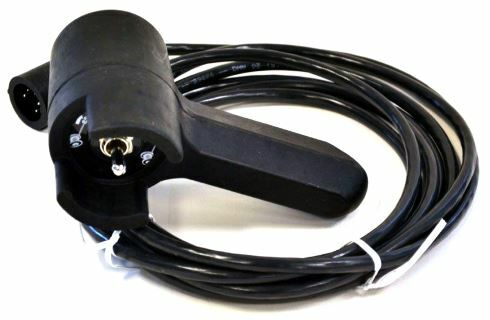 This remote control features latest technologies to provide you with the convenient usage of the winch. It includes a rubberized handle that lies very comfortably in the hand. It will stand out any adventures as this remote control is water-, mud- and weather resistant. The control pack is fully removable, so you can place it wherever it will suit to your car. The winch is controlled by 3-stage planetary gearing with line speeds up to 29′ per minute. This model is stuffed by steel rope that is proved to be easy in use and unpretentious in comparison with synthetic rope. So this variant is more suitable for beginners because such rope is really easy to clean after usage from mud, dust or whatever you have faced with. And steel rope makes this model more affordable because this material is cheaper and than a synthetic one. You only have to oil it with special machine oil for long service. 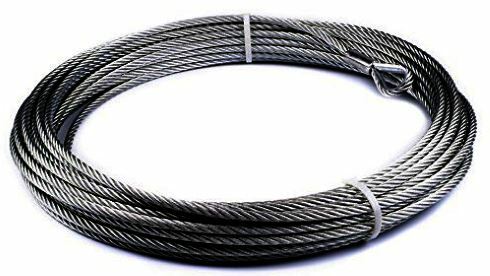 But such rope has one disadvantage because over time the steel fibers are damaged and steel burrs will appear and will cause at least discomfort when you are using the winch and such rope can injure your hands. To prevent this you’ll have to use special gloves. 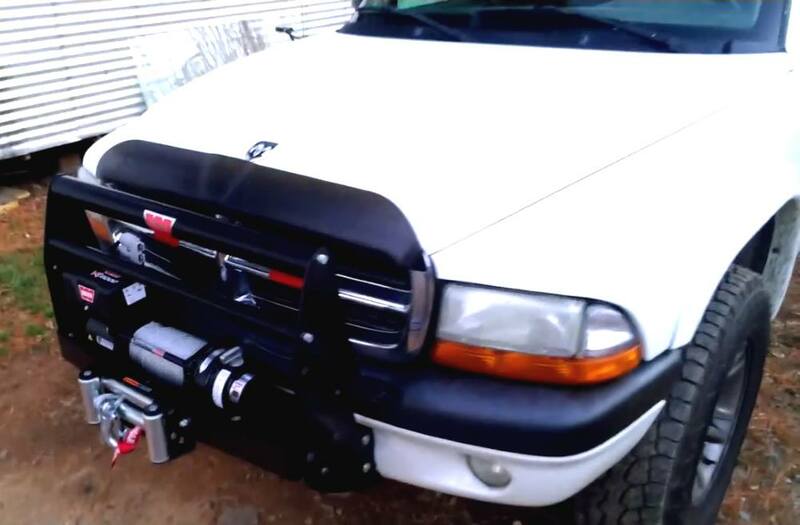 Though the manufacturer claims that this winch can easily pull 8ooo lbs., we still recommend choosing winch for the car that can carry the weight twice more than your car weights. So your vehicle should be lighter than 8000 pounds to experience all advantages of this equipment. 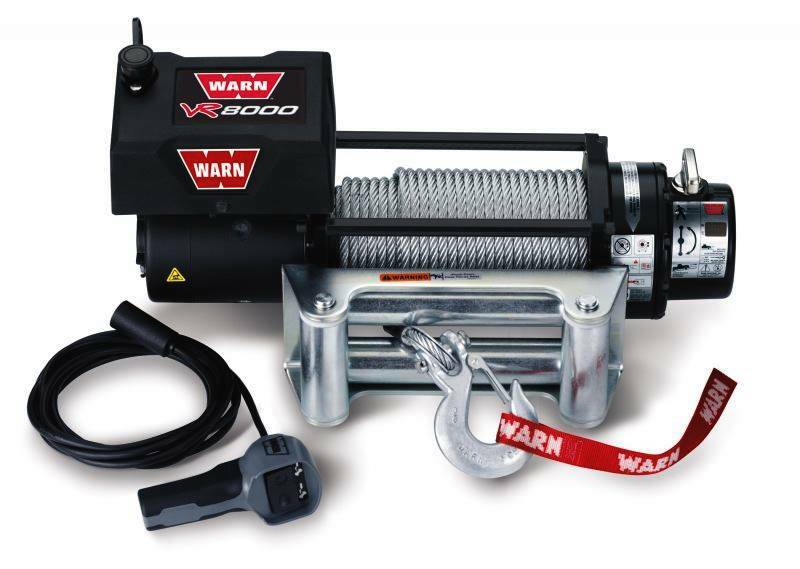 So, in general, we can say that WARN VR8000 winch is a great purchase for beginners as well as for professional users. It has an affordable price, staffed with quality details and really easy to use and install in your car. This model is powerful enough to get you out from any kind of obstacles and you can safely continue your trip. Warn has proved its excellent reputation once again.